The Hub of Hope facility is located in SEPTA's Suburban Station. Winter’s bone-chilling temperatures are now gripping most of the country. When the frigid weather makes it too hazardous to stay outside, many homeless seek shelter in train stations, bus depots and other public facilities. In Philadelphia in recent years, every day anywhere from 100 to 300 homeless men and women would take refuge in the downtown concourses that connect to Southeastern Pennsylvania Transportation Authority's (SEPTA) regional (commuter) rail, subway and trolley lines. That number would fluctuate seasonally, increasing as temperatures dipped. However over the past two years, SEPTA has seen a decline in the number of homeless looking to stay in its stations. Harold credits the decrease in a consistent application of SEPTA’s business model (“when the stations are closed, our patrolling officers ensure the concourses are also closed") and an affiliation between SEPTA and Project HOME, a Philadelphia–based organization that works to end homelessness through outreach, education and other intervention programs. Kanika Stewart, a resource manager for Project HOME. 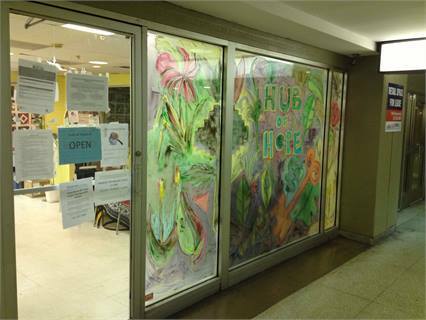 The Hub of Hope was established in 2012 to offer a variety of services and housing, especially for those experiencing long-term street homelessness. The center is staffed with resource managers, peer specialists, recovery coaches, and physical and behavioral healthcare professionals from numerous Philadelphia-based agencies, including Project HOME, the Mental Health Association of Southeastern Pennsylvania, the City of Philadelphia, Jefferson Hospital and Public Health Management Corp. In 2013, 157 individuals who visited the Hub of Hope were placed into shelter, treatment and other housing options throughout Philadelphia. 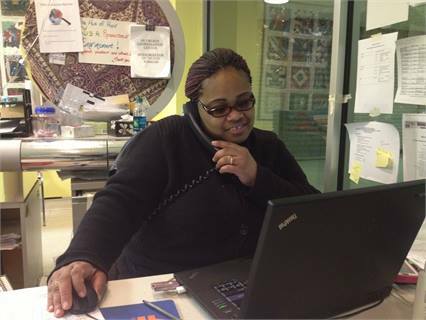 Working as a team, the SEPTA Police Department and Project HOME resource managers can offer options for places individuals can go and services they can receive to obtain permanent housing. “Both organizations act as eyes and ears for one another with regard to safety and well-being of individuals experiencing homelessness in the station,” said Orrick. Since the SEPTA/Project HOME relationship began, SEPTA has seen its Center City Philadelphia homeless population reduced by 50%. Read our METRO blog, "What will the impact of automated vehicle technology be on public transportation?"